Good morning! Nothing like Saturday morning huh? I woke up early, headed to the gym, hashed out a 7k on the treadmill and then did the pyramid arm workout courtesy of the Tone it Up Girls. Both the run and the arm workout were extremely challenging for me today. I feel like even just a week of slacking a bit on the strength training, and I am noticing a loss already. I’ll get it back though! Right now, I am relaxing in my sweaty gym clothes, sipping on my morning juice, aka coffee. I have some fun plans for the day! I thought it might be fun to share with you some of my favorite workout gear. Everyone has their favorites, here are mine! 1. 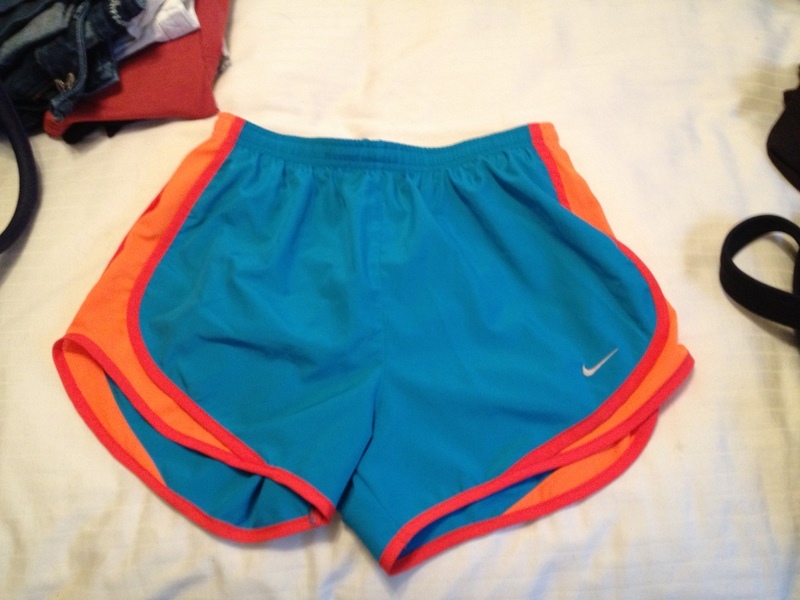 Nike Tempo Shorts. I used to think I wouldn’t like any running shorts that had the built-in ‘underwear’ but honestly these shorts are the comfiest things ever! It feels like you aren’t any wearing shorts. Is that weird? They also come in a wide variety of colors which make for a fun get-up. 2. Dry-fit tanks. 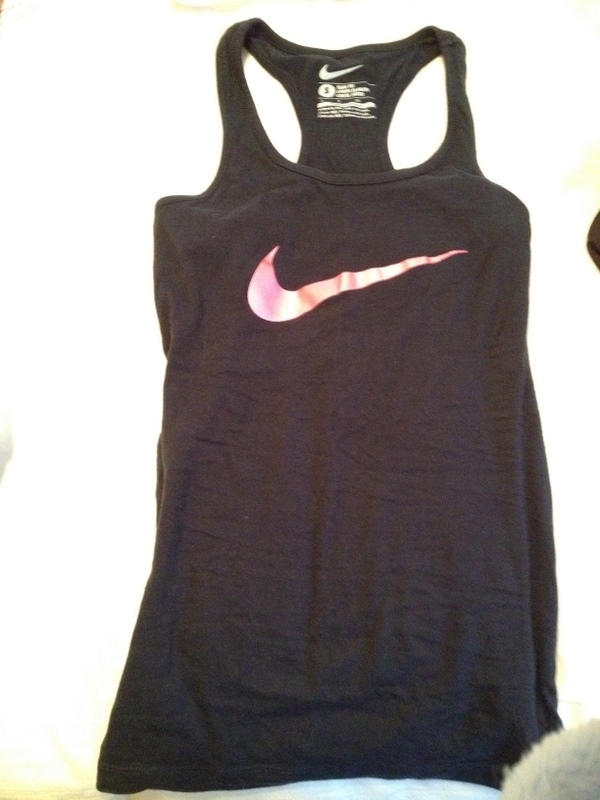 Nike, Gap, TJMaxx…these are very easy to find and inexpensive. They keep me cooler and dryer. If I plan on workout out on any type of machine where my skin will touch the machine, I will throw on a long-sleeve t-shirt because that grosses me out. There are some sweaty men (and women) on those machines. 3. 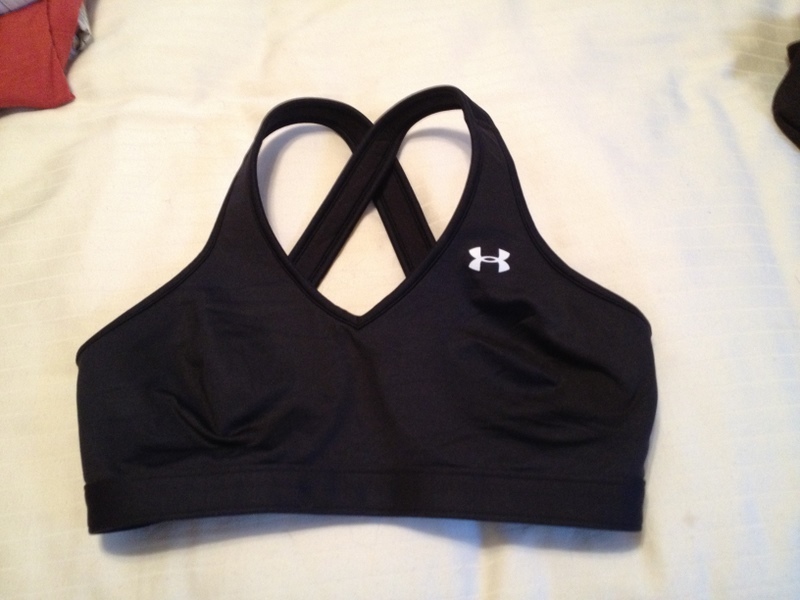 Under Armour high-impact sports bra. I’m baring it all. I’m not ashamed. I like bras that offer a lot of support. It is on the pricier side but I cannot believe the support I get from this bra. It is a challenge getting this bad boy off after a sweaty workout session. 4. 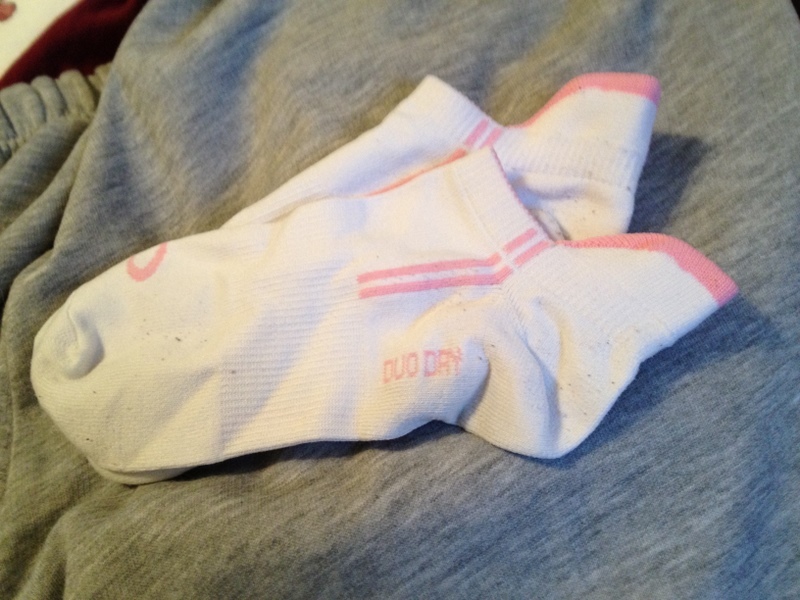 Moisture-wicking socks. The ones pictured here are from Target and I love them. These socks are so important for helping to prevent blisters and extra sweaty feet. 5. Asics Gel Kayano 17 Soft Top Duomax: In other words, a good pair of running shoes for my feet and my stride. Of course finding the right running shoe for you depends on your arch, where you land when you run, etc. Consult the pros on this one. I go to speciality running stores in my area so that they can help me find the right shoe for me. 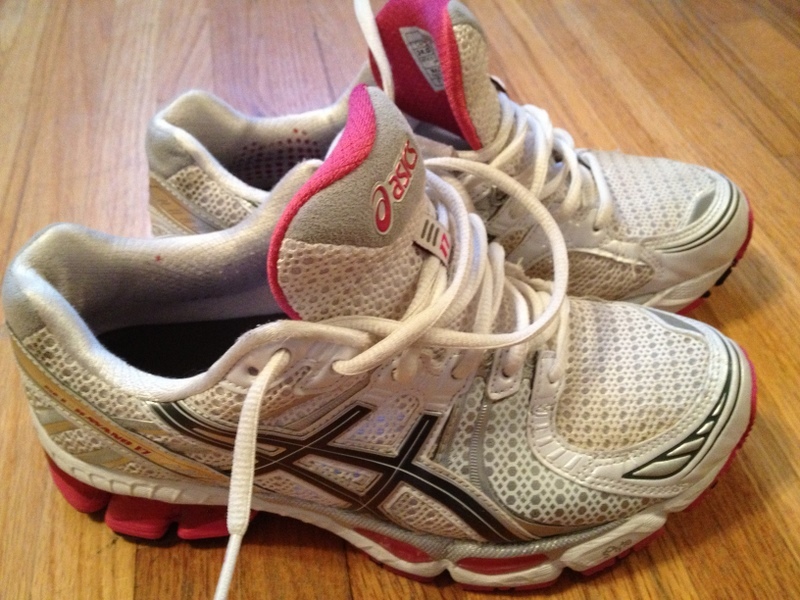 It is so important to have a good pair of running shoes, and remember to replace them when needed as well. 6. Bicband. 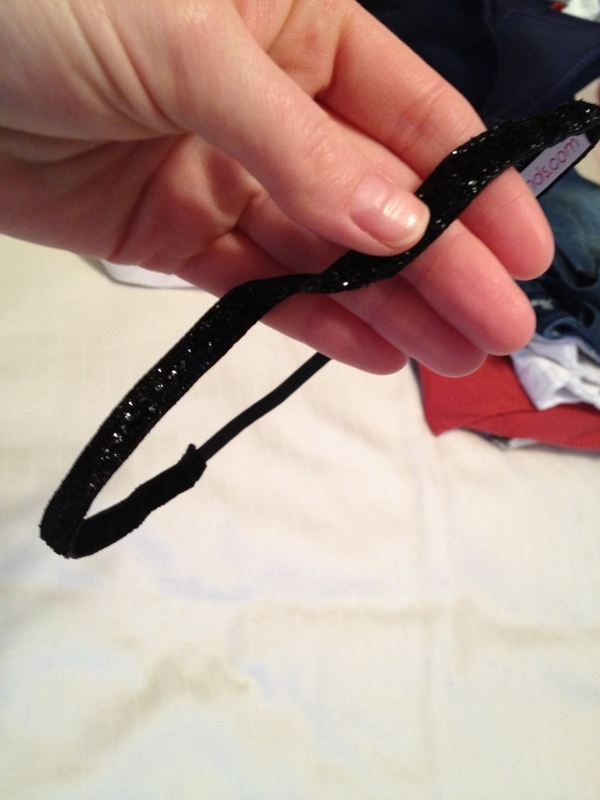 This sparkling beauty is GREAT at keeping my bangs out of my face and it does not slip off of my head like other bands tend to do. They have so many cute ones to choose from and in different widths as well! The only thing missing is my music. I usually always have my iPod Nano or my iPhone to jam out to while I workout.What pumps me up the most is when I add new songs to the mix. I look forward to hearing them while I am running. When the new song comes on, I generally amp up the speed through the duration of the song. I gravitate toward pop and hip-hop music for my running tunes. I have found that I feel better about myself when I am in cute workout clothes versus frumpy old t-shirts. No doubt I still wear the old t-shirts for at-home workouts though! Anyone else agree with me? There you have it! Some of my favorite workout pieces! Have an amazing Saturday! What are some of your favorites? Can’t wait to hear from you! This entry was posted in Training, Workouts and tagged Apparel, Running, Workouts by Melanie. Bookmark the permalink.